Outfitting your Android device with the right gizmos and gadgets isn’t just another fun way to shop for electronics. It can enhance your life. Here are some gadgets that could make your day safer, easier, or more enjoyable. Why would you want an external camera when your phone has one built in? This device lets you enjoy live events again instead of watching them through your phone’s lens. 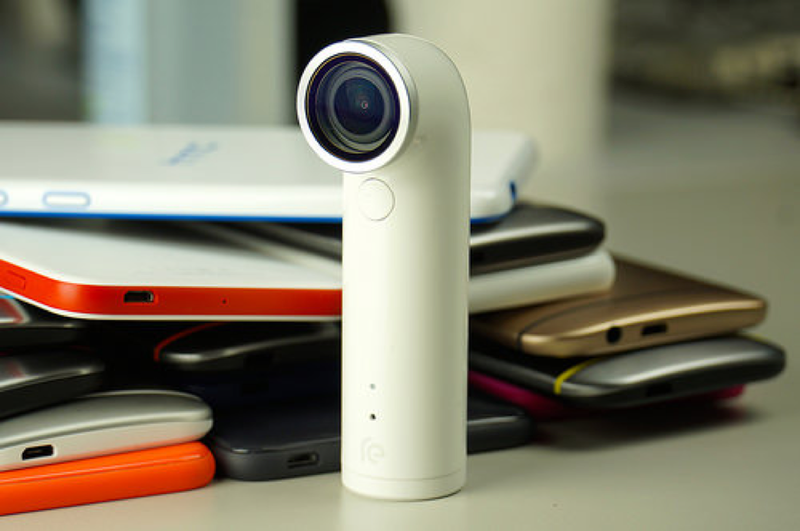 The HTC Re camera is a freestanding model that looks like a periscope. The camera’s design is simple and streamlined, and your Android phone acts as its screen. Just get the camera pointed where you want it, and forget about it. It’s also incredibly useful for selfies and video selfies. Stand this camera up on a table, frame the shot using your phone, and then film or capture yourself hands-free. This is a brilliant setup for everything from dance rehearsals to Instagramming. Your phone’s screen is its Achilles heel, in the most literal sense possible. This is where your phone is statistically most likely to receive an injury that would put it out of commission. If that happens, you’ll be kicking yourself for not providing your screen with some armor. You can pick up a tempered glass screen protector for under $10 and replace it if it gets scratched or broken. If you spend a lot of time talking on your phone, a Bluetooth headset will set you free. If you’ve resisted the headset, it’s probably because you haven’t imagined what a difference it makes to put your phone in your pocket and use both hands to do other things while you talk. You’ll be able to drive, do yard work, prepare meals, or work on projects while you get business done or connect with family. It’s a simple modification, but it’s also a life changing one. Do you ever joke that your whole life is in your phone? When your battery runs down, do you hurry home in panic mode and fidget until you can get it charged again? You’re not alone. This is why many people carry a fully charged power bank in addition to their phone. These handy gadgets offer a backup source when you can’t get to a car or wall charger. A power bank with a built-in flashlight is ideal for travel or walking down dark streets at night. Tile is a brilliant solution for people who tend to lose things. Attach Tiles to your car keys and other important things, and then your phone will help you find them again. Tile was originally only available for iPhones, but it’s now compatible with newer Android devices that support Bluetooth 4.0, like T-Mobile’s Samsung Galaxy S6. Drop a Tile in your glovebox, and you’ll be able to use your phone to locate your car in parking lots and garages. The little device will even help track your car if it’s stolen. Having GPS built into your phone means you no longer have to own a separate device for navigation. But those old GPS devices had handy dash mounts for the viewing screen, and phones usually don’t. Don’t kid yourself. Picking up the phone from your lap or passenger seat to check the map may take your eyes off the road for only a split second, but that can be long enough to cause an accident. If a car enters your lane or a pedestrian runs into the road, milliseconds matter. If you use your phone for navigation, you need a car mount. A Bluetooth speaker turns your phone into a sound system. Depending on your needs, you might choose a rugged waterproof speaker to take to the beach, a Bose audio powerhouse for dance parties, or a tiny pocket speaker for travel. If you make a lot of voice calls, look for a speaker with a microphone so you won’t have to disconnect to take a call. Think about the ways you use your phone most. Then select the accessories that best suit your needs so your phone can improve your quality of life.